Sales are underway of renowned builder K. Hovnanian’s newest townhome community of Valletta. 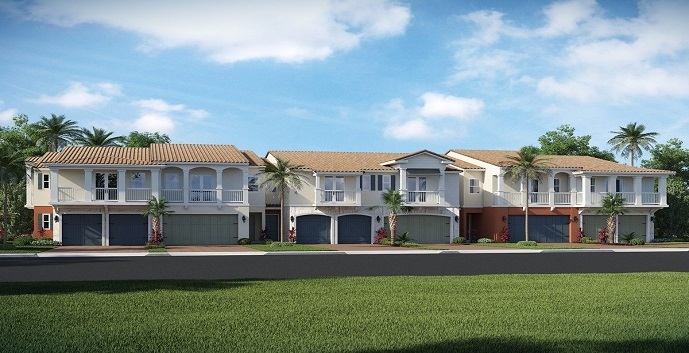 These stylish townhomes are being offered in 3 different models each consisting of over 2,200 square feet, all with 3 bedrooms, 2.5 bathrooms and 2 car garages. Valletta is located east of 95 near Yamato Road in Boca Raton. With its family friendly atmosphere, Valletta will offer residents such amenities as a sparkling pool and pavilion, playground and park for the kids, and a dog park for Sparky. 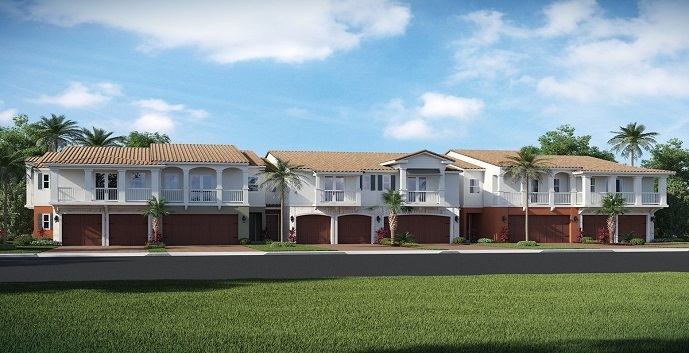 When construction is finished, Valletta will be an intimate gated community of approximately 75 spacious townhomes. The interiors will boast such luxury features as maple cabinetry, stainless steel appliances, granite countertops, ceramic tile flooring and Moen faucets. Valletta townhomes offer 3 townhome designs to chose from. Mosta - 2 story townhomes, 3 bedrooms, 2 and 1/2 bathrooms, family room, dining room, loft and 2 car garage. 2,412 total sq.ft. Prices from $397,990. Ferdinand - 2 story townhomes, 3 bedrooms, 2 and 1/2 bathrooms, family room, dining room, loft and 2 car garage. 2,264 sq.ft. Prices from $407,990. Pieta - 2 story townhomes, 3 bedrooms, 2 and 1/2 bathrooms, fmaily room, dining room, loft and 2 car garage. 2,496 sq.ft. Prices from $449,990.